The modules of the Simufact Welding product line offer comprehensive functionality for many welding processes. Simufact Welding offers process specific modules in order to provide the best possible user support during model setup. 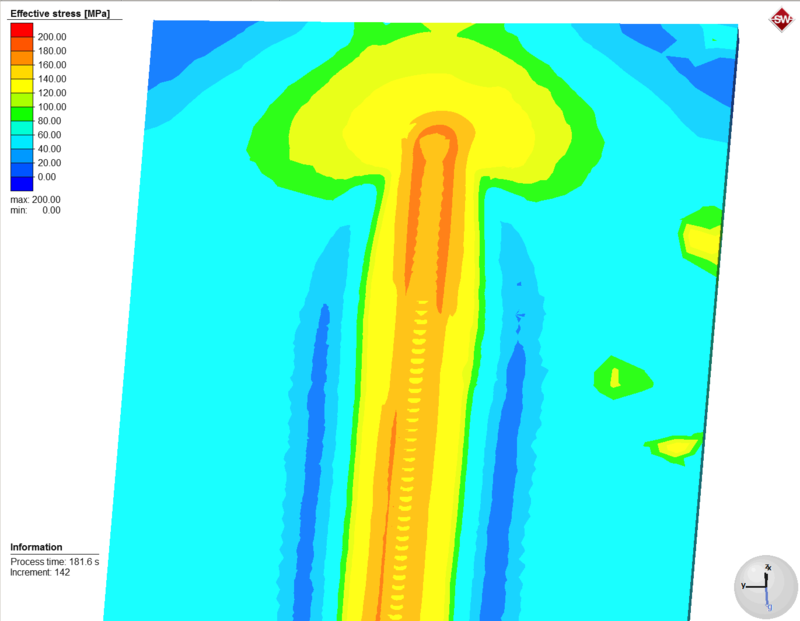 The Simufact Welding Hub provides essential core functionality needed for thermal joining as well as basic functionality needed for all other application modules. It includes a material database and editing utility Simufact Material. 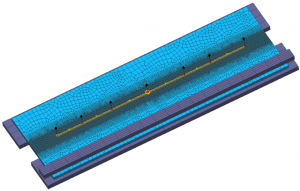 The Welding Hub includes functionality for modeling and simulation of Thermal Joining processes represented by the application modules Arc welding, Laser welding, Electron Beam welding, and Brazing). These modules are completed by a Stress Relief Heat Treatment module and a Cooling and Clamping capability, which allows to vary clamping and cooling conditions previous to or after a welding process. The Resistance spot welding module allows modeling and simulation of a resistance spot welding process. 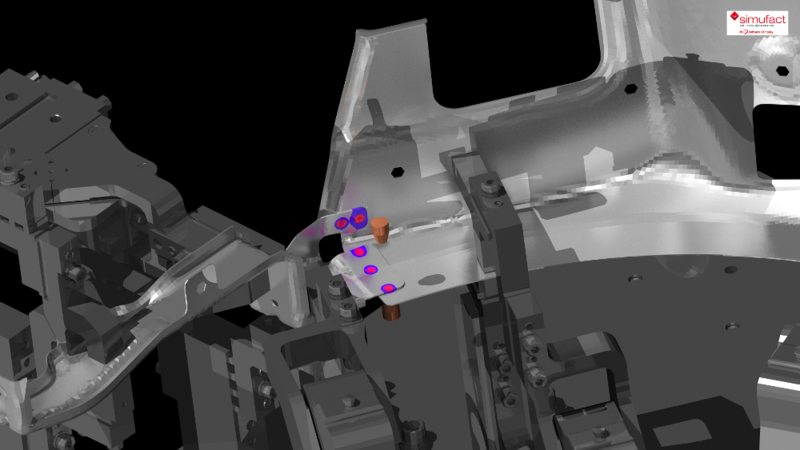 All thermal joining modules are an integrated part of the Welding Hub. The Arc Welding module provides the possibility to model and simulate common arc welding processes. The default selected heat source is a Goldak double ellipsoid. 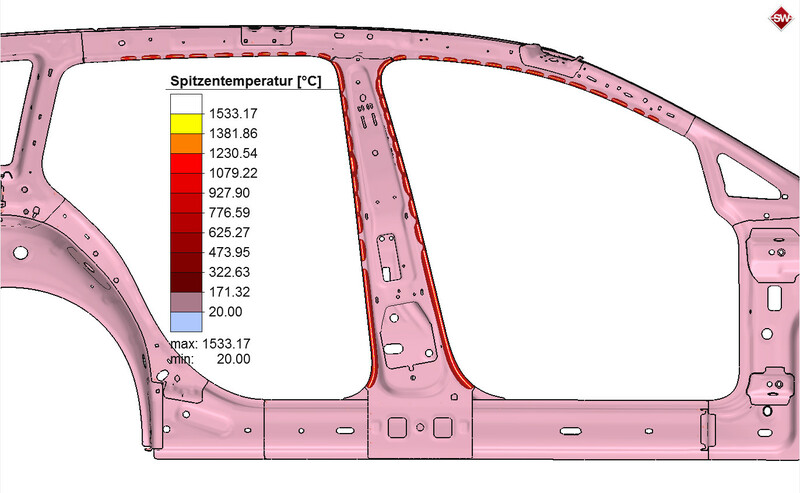 As an option it is possible to define geometry and material properties of fillet material. In many cases the geometry of fillets can be defined using internal fillet generator. The material of fillets is modeled in the way that previous to heating they do not have any significant stiffness, so they follow the base material if the material experiences bending and distortions. After heating fillets get usual material properties, getting stiffer during cooling. The connection between components is established by means of glue contact, being activated after the melting temperature has been achieved locally. Simufact Welding's Laser Beam and Electron Beam welding modules are closely connected. Both have a usual beam heat source model applied as default, either a volumetric conical model or a circular surface model. Those to models can be combined in one heat source. Similar to arc welding module it is possible to define geometry and material properties of fillet material in a laser beam welding process. In many cases the geometry of fillets can be defined using internal fillet generator. The material of fillets is modeled in the way that previous to heating they do not have any significant stiffness, so they follow the base material if the material experiences bending and distortions. After heating fillets get usual material properties, getting stiffer during cooling. Electron beam welding differs in the way that no fillet definition is possible. The other feature is the definition of vacuum chamber opening time, changing convective heat transfer from zero during welding to some appropriate value during cooling. The main difference between brazing and welding simulation lies in the fact that the brazing module allows limitation of heat input to soldering material only. 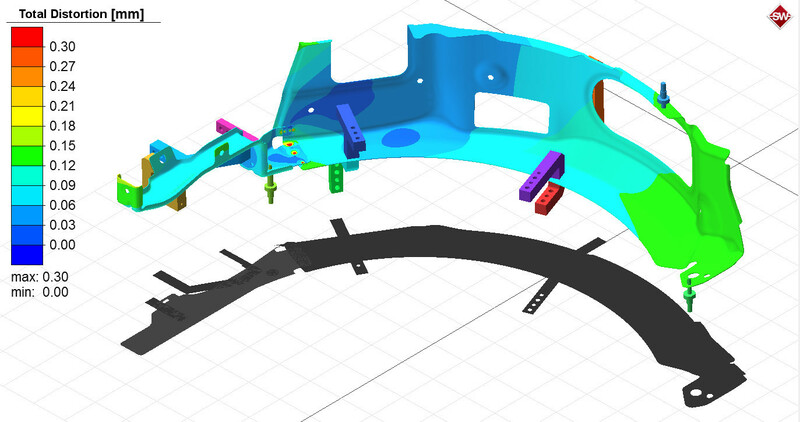 Furthermore, it is the only simulation module requiring fillets present in each weld line. 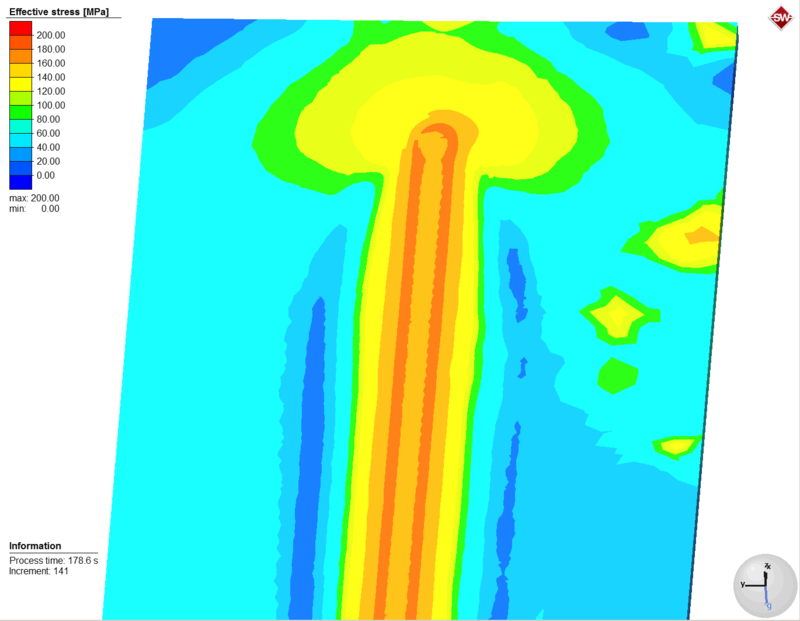 Brazing simulations can be defined using both conventional and beam heat sources, or a combination of them. Residual stress field during the simulation of the laser-plasma bead-on-plate brazing process: before (left) and after (center) unclamping as well as after cutting (right, cutting edge in front of the figure). 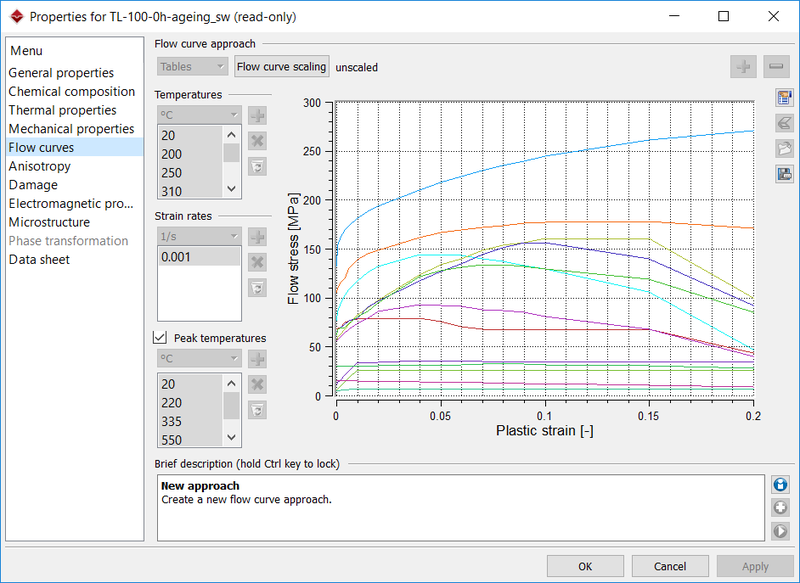 The heat sources in arc and beam welding modules are preset to appropriate definition, however it is of course possible to define conventional heat sources in a beam welding simulation and vice versa. Using this option, it is possible to define hybrid processes that use both, a conventional arc and a beam welding heat source. 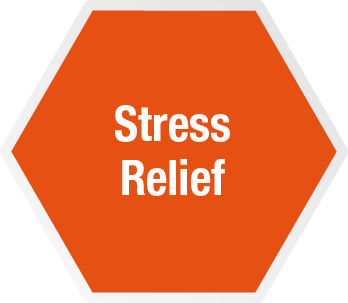 The Stress Relief Heat Treatment module allows a definition of time-temperature curves for heating, holding and cooling phases with individual convective heat transfer to environment definition - applied to already welded components using prestate functionality. 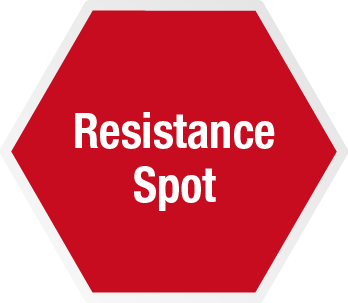 Other than during transient welding processes where heat input takes place along a weld line, the heat input in resistance spot welding (RSW) occurs between weld guns that clinch two components together and heat them up in the contact area. The reason for heat generation lies in the current flowing between weld guns producing heat because of Joule’s heating. The electrode database contains a number of standard electrode geometries, user defined geometries can be used as well. The weld gun kinematic can be modeled according to C-gun and X-gun kinematic. The standard approach in a RSW model contains fully coupled electrical, thermal, metallurgical and mechanical steps, so the heat generation is calculated due to Joule’s heating coming from electrical current and resistivity between components. Material data includes electrical properties of materials in question. Furthermore, the contact conductivity between electrodes and components has to be defined, as a constant value, as temperature-dependent table or due to automatic calculation. The image shows a resistance spot welding process with clamping tools. The image shows a resistance spot welding process: A wheel house is joined by five spot welds. These videos show the stress distribution / distortion of the von-Mises effective stress during the resistance spot welding process of a wheel well.